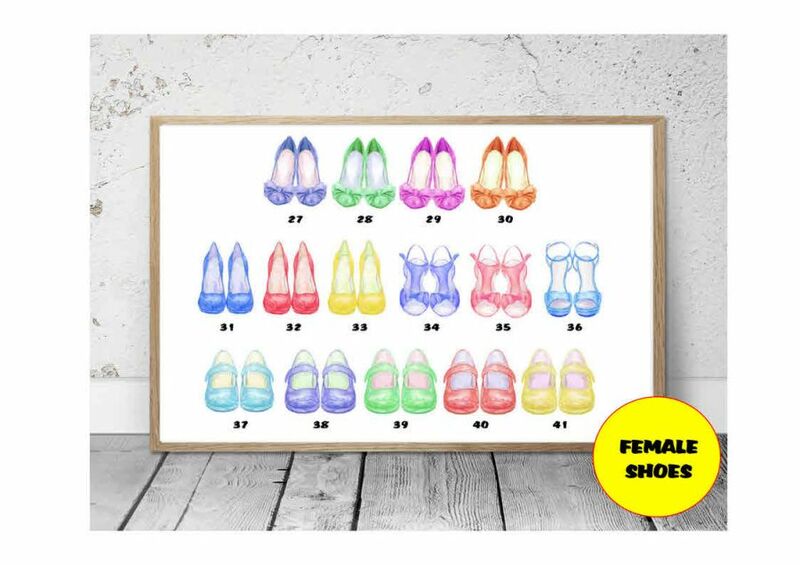 Each lovely print depicts the family members as cute little shoes/footwear which can be scaled to size for children. 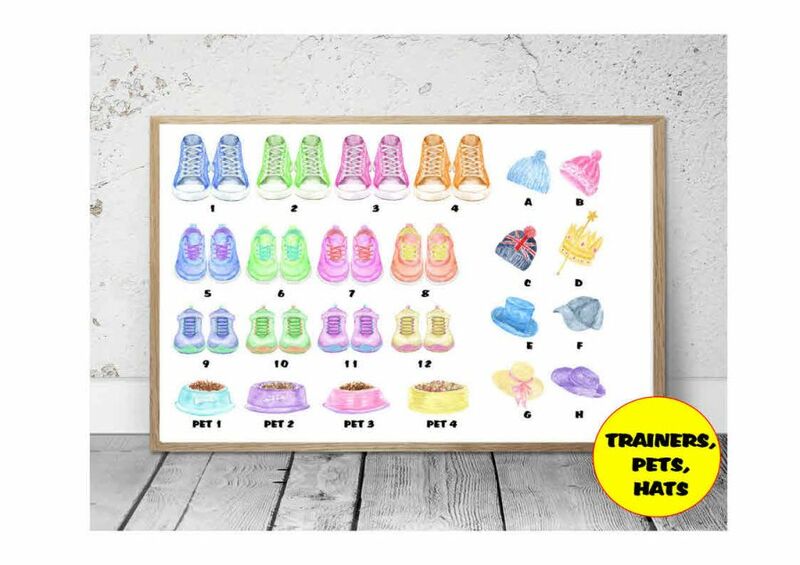 Please detail on checkout which family members you would like shown and which footwear items from the separate images shown - with ages for children so the images can be scaled i.e. Man: John or Dad (No. 13) ; Woman: Jenny or Mum (No. 36) ; Boy: Ethan, 14 (No. 1) etc. including the surname/family name for the top of the print along with the year (if required). 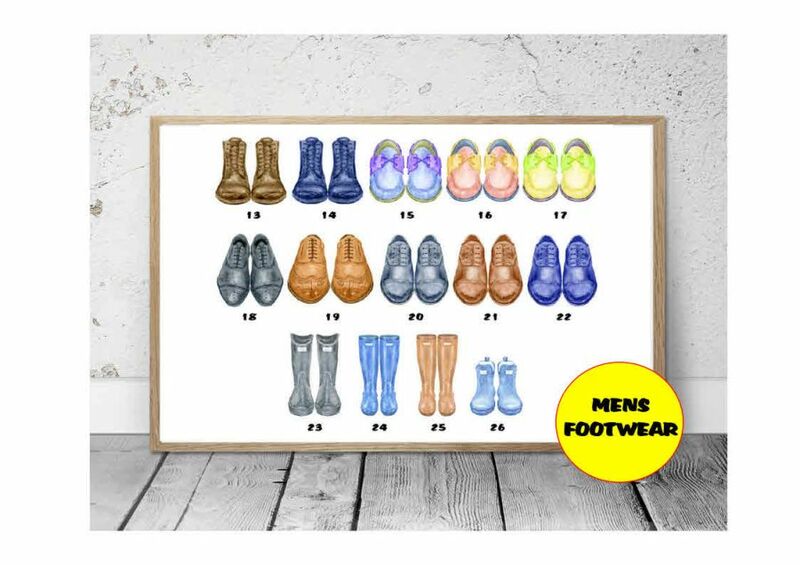 If the shoes/footwear are not opted on checkout, then designs will be chosen for you relevant to the names and ages shown.